Twin Spin Deluxe™ is a video slot with Cluster Pays having six reels that is set on the 6x5 grid. 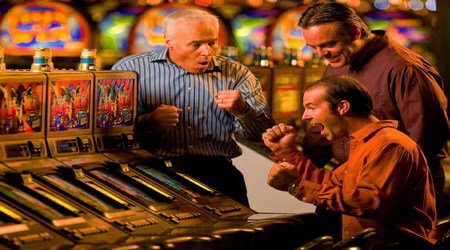 The new online slots are powered by NetEntertinament Software. The slot is all about the old aged symbols including the bar symbols mixed with various fruits symbols giving it neon glaring lights. The Strictly Cash Slots is sure to provide you with an amazing gaming experience providing you beautiful graphics and music sounds resembling arcade style.